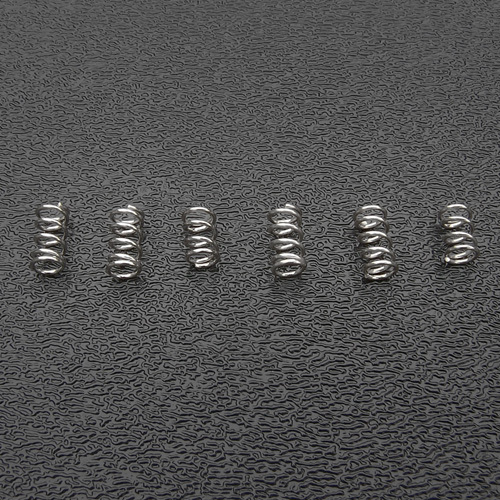 Genuine Fender® Stratocaster® nickel plated bridge saddle intonation springs set of 6. You'll receive a total of six intonation springs; four long ones and two short ones. The four longer intonation springs are 5/16" in length for the E1, B, A and D saddles and two shorter intonation springs which are 1/4" in length for the G and E6 saddles. This combination of intonation spring lengths accommodates correct intonation adjustments without compressing the G and E6 springs to maximum.